The returns can be measured quantitatively. If you have a “minimize paper usage” rule, you must determine your usage every month and confirm that the numbers are lower with the passage of time. 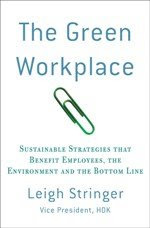 Unless you’re able to judge for yourself and see visible signs of a greener office, your green measures are not worth anything. The returns need not be immediate, but they have to start trickling in slowly at first and steadily as time goes by. The efforts are continuous and constant. You cannot give up on your green measures just because they’re hard to follow or difficult to implement. You must put in a sustained effort to see them through and encourage your co-workers and subordinates to do all they can to contribute to a cleaner environment. Unless your efforts are continuous and constant, they will not bear fruit. People are held accountable for their actions. While this may seem extreme to some people, sometimes, the only way to enforce rules is to hold people accountable for breaking them. So if a colleague is found guilty of not powering down their computer after the day’s work (and has instead left it to hibernate or sleep), he or she could be made to pay a small fine or reprimanded in a suitable way. When you care about the environment and want to make a difference at your workplace, you must realize that it is a team effort that requires dedication and discipline, just like one of your projects. This guest post is contributed by Nicole Adams, she writes on the topic of construction management. She welcomes your comments at her email id: nicole.adams83@gmail.com. It possess a step further into add-ons like Juicy couture tote bags, juicy couture cosmetic bags, juicy purse as well as Juicy handbags.